The Canadian tenor returns this season to the Metropolitan Opera to sing the role of Edmundo de Nobile in the company premiere of Thomas Adès The Exterminating Angel directed by Tom Cairns and conducted by the composer. Further debuts include the title role of Mozart’s Idomeneo in a return engagement at the Opernhaus Zürich in a new production directed by Jetske Mijnssen and conducted by Giovanni Antonini and the title role of Wagner’s Lohengrin in a new production by Olivier Py at Brussels’ La Monnaie under the baton of Alain Altinoglu. Concert performances of the season include Stravinsky’s Oedipus Rex at the Baltic Sea Festival conducted by Esa-Pekka Salonen, Beethoven’s Ninth Symphony with Kent Nagano conducting the Orchestre symphonique de Montréal and with Alan Gilbert leading the New York Philharmonic, and a recital program at Carnegie Hall accompanied by Thomas Adès at the keyboard. A dynamic concert schedule in 2016-17 included performances of Beethoven’s Ninth Symphony with Alan Gilbert and the New York Philharmonic, with Andris Nelsons and the Boston Symphony Orchestra, as well as with Christoph Eschenbach and the National Symphony Orchestra; Bernstein’s A Quiet Place with Kent Nagano and the Orchestre symphonique de Montréal (recorded for future commercial release on Decca); Mahler’s Das Lied von der Erde with Michael Stern and the Kansas City Symphony Orchestra; and Stravinsky’s Oedipus Rex with Esa-Pekka Salonen and the Philharmonia at London’s South Bank Centre. He also returned to the Metropolitan Opera to sing the role of Steva in Janácek’s Jenůfa conducted by David Robertson in a revival of the company’s production directed by Olivier Tambosi. Opera credits also include the title role of Messager’s Fortunio in a new production by Denis Podalydès at the Opéra Comique under the baton of Louis Langrée, and new productions at the Salzburg Festival of Händel’s Theodora directed by Christoph Loy and conducted by Ivor Bolton as well as of Eugene Onegin directed by Andrea Breth and conducted by Daniel Barenboim (both Salzburg productions are commercially available on DVD). Metropolitan Opera performances include Roméo et Juliette, Die Zauberflöte, Salome, Capriccio, A Midsummer Night’s Dream, and Rodelinda. 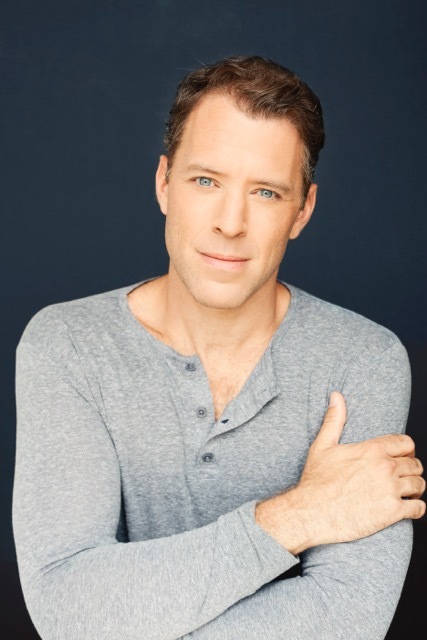 Joseph Kaiser has bowed in performances of The Passenger at Houston Grand Opera and Lincoln Center Festival, The Aspern Papers for Dallas Opera, Adriana Mater at the Santa Fe Opera, and Iphigénie en Tauride at the Canadian Opera Company. Concert highlights include performances of Beethoven’s Fidelio - singing the role of Florestan - with Jérémie Rhorer conducting Le Cercle de l’Harmonie, Schumann’s Das Paradies und die Peri with Sir Simon Rattle and the Philadelphia Orchestra, Mendelssohn’s Die erste Walpurgisnacht with the Orchestra of St. Luke’s and Principal Conductor Pablo Heras-Casado at Carnegie Hall, Mozart’s Requiem with the Dallas Symphony Orchestra conducted by Music Director Jaap Van Zweden, Bruckner’s Te Deum with Daniel Barenboim and the Orchestra and Chorus of Teatro alla Scala, Bruckner’s Mass No. 3 in f minor with Marek Janowski leading the Rundfunk-Sinfonieorchester Berlin, and Berlioz’s Requiem under Marek Janowski with the combined forces of the Tonhalle- Orchester Zürich and the Orchestre de la Suisse Romande as well as with Donald Runnicles both with the Atlanta Symphony Orchestra and the Berliner Philharmoniker.